Brass Bullet Necklace | BUDK.com - Knives & Swords At The Lowest Prices! Step up your look and display your style boldly with this classic Brass Bullet Necklace. 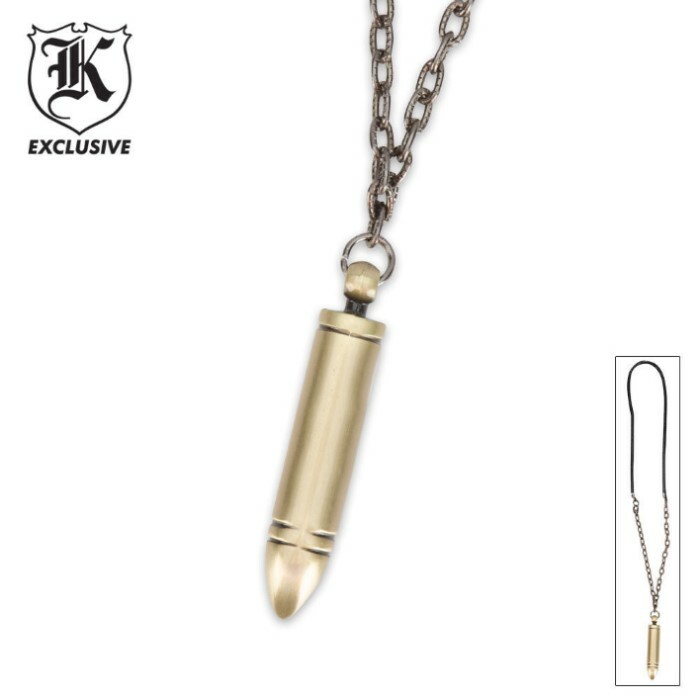 This brass-finished metal alloy bullet pendant is suspended from a leather and iron necklace chain. Pendant measures 2” overall.